US President Donald Trump decided in March to impose steep tariffs on steel and aluminum imports, primarily to target China. 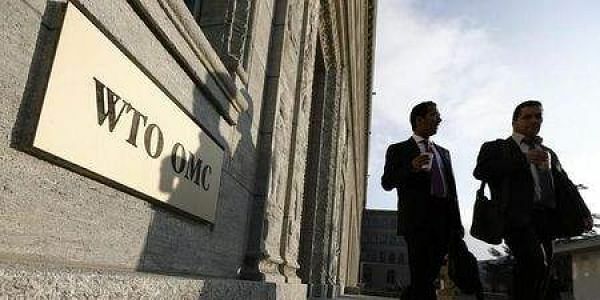 GENEVA: Beijing has requested dispute consultations with the United States at the World Trade Organization over US tariffs slapped on imports of Chinese steel and alumium products, according to a WTO document published Tuesday. China's representative to the world trade body has requested "consultations" with Washington over its decision to impose "additional ad valorem rate of duty on imports of certain steel and alumium products," according to the document, which stated that the complaint was filed on April 5. China claims the duties of 25 percent and 10 percent on imports of its steel and aluminium products violate international trade rules. The Chinese "request for consultations", which marks the first step in a full-blown legal challenge at the WTO's Dispute Settlement Body, is part of an escalating trade confrontation between Washington and Beijing. Early last week, Washington also published a list of $50 billion in Chinese goods to be hit by tariffs over what Washington says is widespread theft of intellectual property and technology. China quickly launched a challenge against those proposed tariffs, also requesting that the WTO organise consultations. Beijing also retaliated by unveiling planned levies on $50 billion worth of major US exports including soybeans, cars and small aircraft. But Trump hit back again late Thursday, instructing trade officials to consider tariffs on an additional $100 billion in Chinese imports.